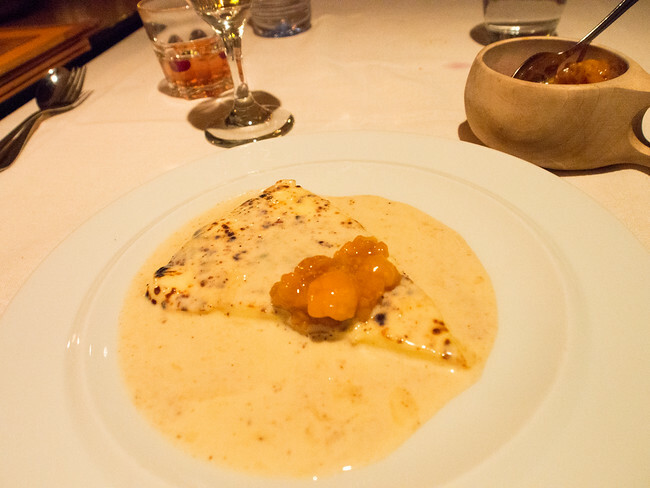 Of all the places I have visited, the food of Finland was the biggest surprise. I really had no idea what to expect and was a bit worried I would not like it. There are some amazing traditional dishes in Finland and others I could take or leave. But here are the most memorable. Beginning with the Helsinki Market – you definitely need to stop here. My first dinner in Helsinki at Savotta, it is a restaurant for tourists but there is a reason it is so popular. The food is really good and the servers are so much fun. 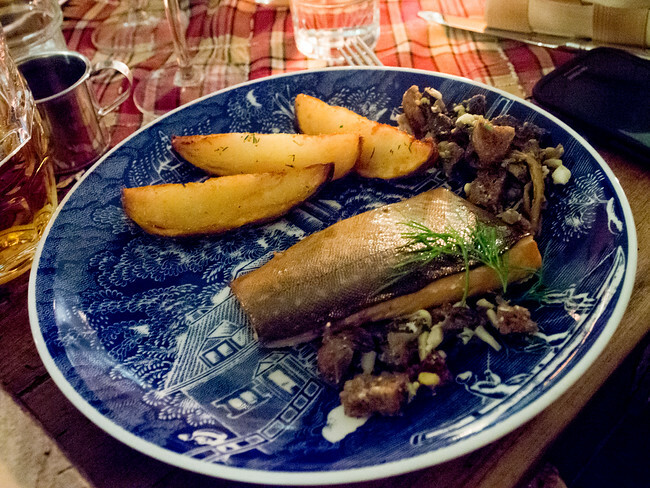 The dishes on the menu are traditional and it is a good place to get your footing with food of Finland. 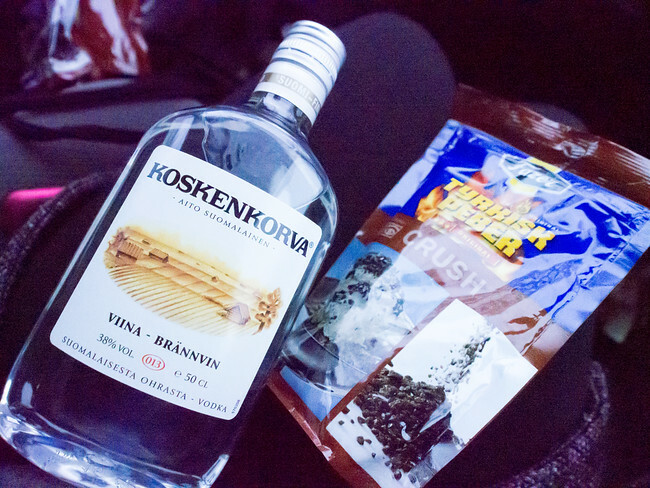 Surprisingly the first time someone offered me a shot of vodka was in Porvoo. Finland has an interesting take on shots, in Tampere I had a shot of vodka that was infused with Fishermans Friend. This may be my new shot when I am sick. 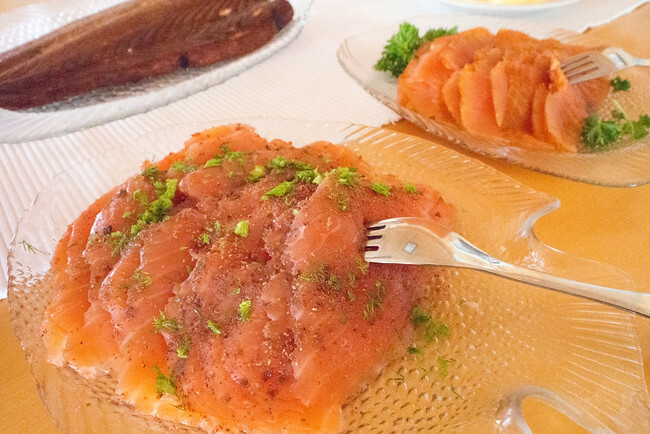 Most of the salmon is from neighbouring Norway but you can find smoked salmon everywhere, including the market where it is prepared many different ways. My favourite was with Martin Tillman, Peter’s supplier outside Porvoo. Also known as garlic, it is fantastic. Finns LOVE soup, they have entire restaurants dedicated to it. I had the garlic soup both at Nassineula and at the Helsinki Market. I must learn to make it at home. 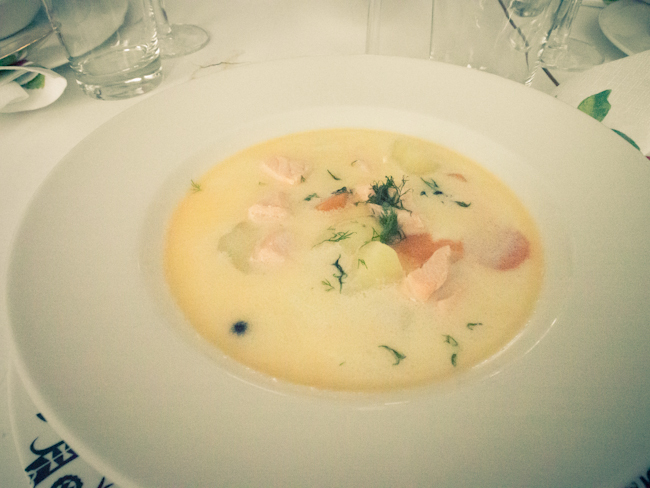 Salmon soup with cream, I had this at Kaisa’s house in Porvoo. It was really nice to eat in someone’s home for a change. If you’re in Helsinki don’t forget to check out the market to eat with the locals. How many times have I said I don’t like dessert? I didn’t go to Lapland but I did the next best thing, I went to Saaga Restaurant in Helsinki that serves traditional food from Lapland. This fried cheese dessert was incredible. I ate reindeer nearly every day in Finland, it tastes like really great venison and the interesting thing about reindeer is that none are truly wild, they are all owned by someone and yet they let them all wander wild in the North. It is fascinating and I am hoping to come back to Finland to learn a bit more about it. This dish was at Saaga as well where I had dried, cured and smoked reindeer. 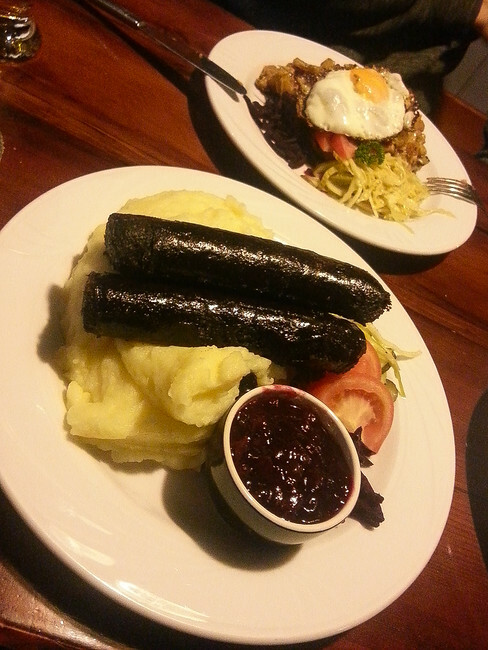 Also known as black sausage or blood sausage, it is most famous in Tampere. I knew I would like this, I have eaten it a few times in other countries, including Argentina, but I like that in Finland they add something sweet to it, you need the lingonberries to balance it out. One of the things I was most impressed with in Finland is that there is still a sense of seasonal food. Many dishes you can only get on specific days or seasons. 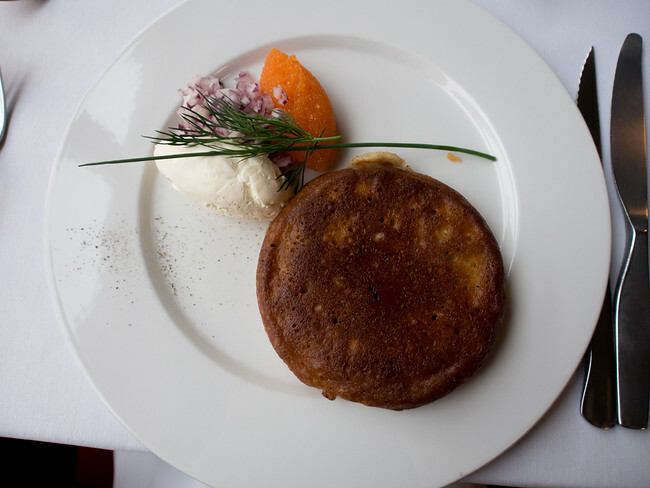 Here at Restaurant Lasipalatsi I had a blini, which is typically from neighbouring Russia. I was told this circular dish is served in the winter when the days are dark and they need a bit of sun to brighten their day. Now that I have eaten this once I probably would not order it again as it is so heavy. 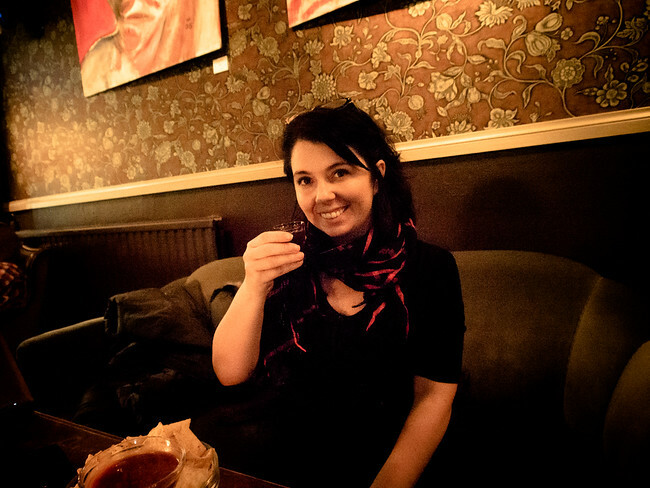 After my Finnish sauna, I asked Anna to take me somewhere local in Kallio so we went to Cella. 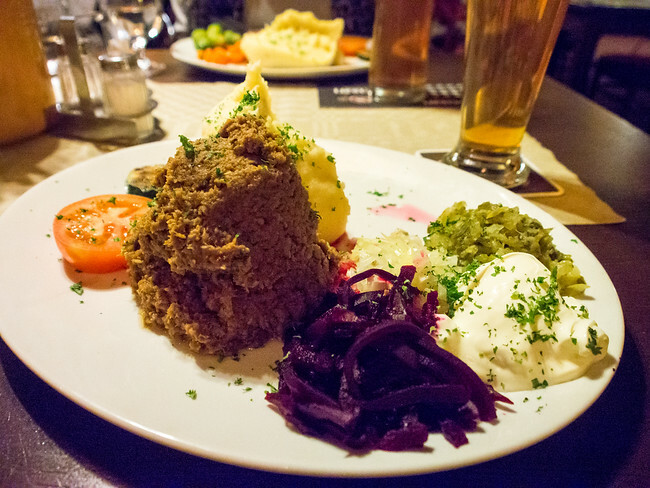 A typical food of Finland, it is a salty minced meat dish and definitely needs a beer. 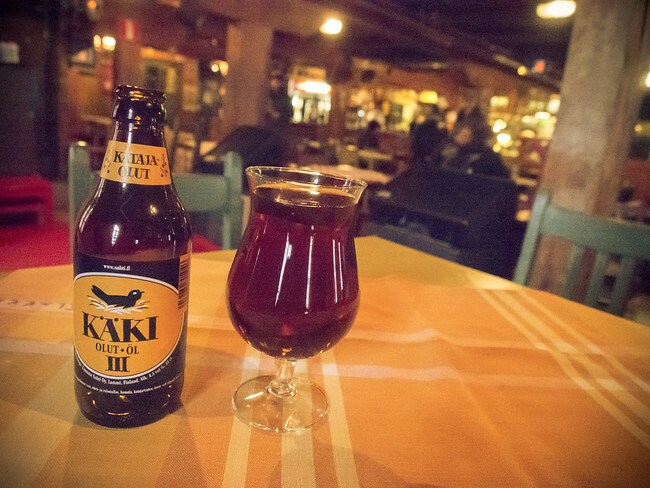 I actually drank far more beer than vodka in Finland. I also went to a number if microbreweries: Suomenlinna at the Sea Fortress on Helsinki, Plevna in Tampere and Malmgard outside Porvoo. Visiting breweries has become one of my favourite things to do in cities even though I know zero about beer. Although I am not crazy about sweets this was okay and I am happy I had it on the food tour as it is traditional and very popular. Salty licorice, it is ammonium chloride flavoured candy and you can find this flavour everywhere. On the way to go from sauna to frozen lake Ville picked some up. We put the liquorice in the vodka bottle and shook it up. You can also buy it pre-mixed. Oh how I love the bread in Finland. I heard it was different in Sweden which is a bit more sweet, here there is no sugar just delicious rye. I am definitely looking for more of this when I return to Toronto. A berry very high in vitamin C, I saw this used in everything from cocktails, to vinegars and Peter uses it in his food at Bistro Sinne. A bit tart but definitely worth trying. I love fish so it was great to have at breakfast but it is not for everyone. I heard the best way to have it is in the summer with new potatoes. 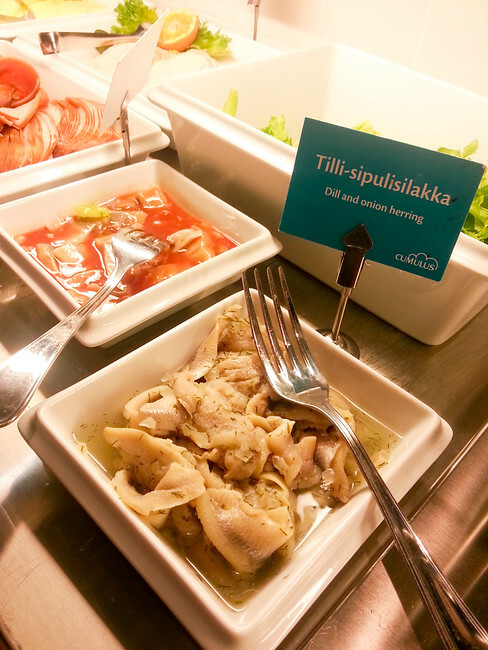 Disclosure: This post about the food of Finland was a result of me being a guest of the Finnish Tourist Board as part of a Navigate Media Group project. They did not request that I write a favourable review or eat enough reindeer for a year. The food looks great! This is just another reason for me to go to Finland soon. Love the food photography! It’s so much fun (and educational )learning about the traditional dishes of a country. 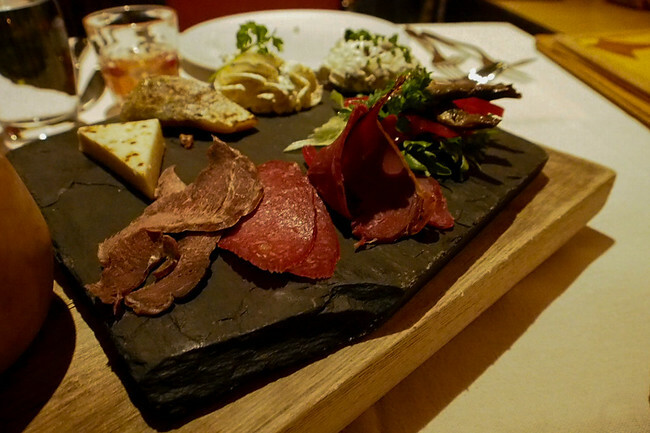 I don’t consider myself an adventurous eater, but I would LOVE to try reindeer meat. P.s. 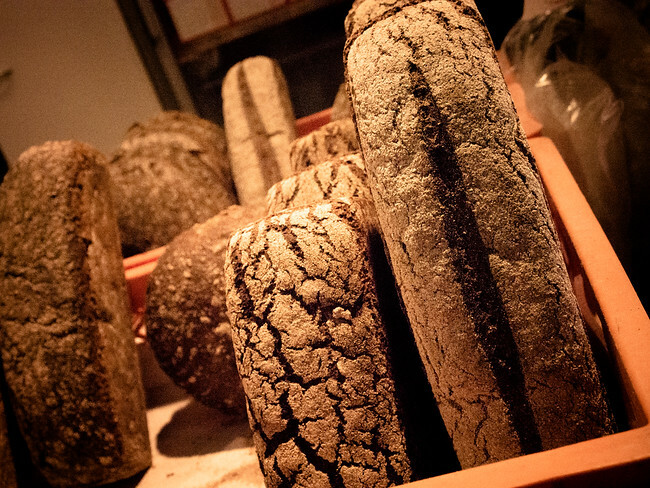 you know where you can get the best Rye bread in Toronto? Silverstein’s on McCaul St., just north of Baldwin. I.LOVE.IT. 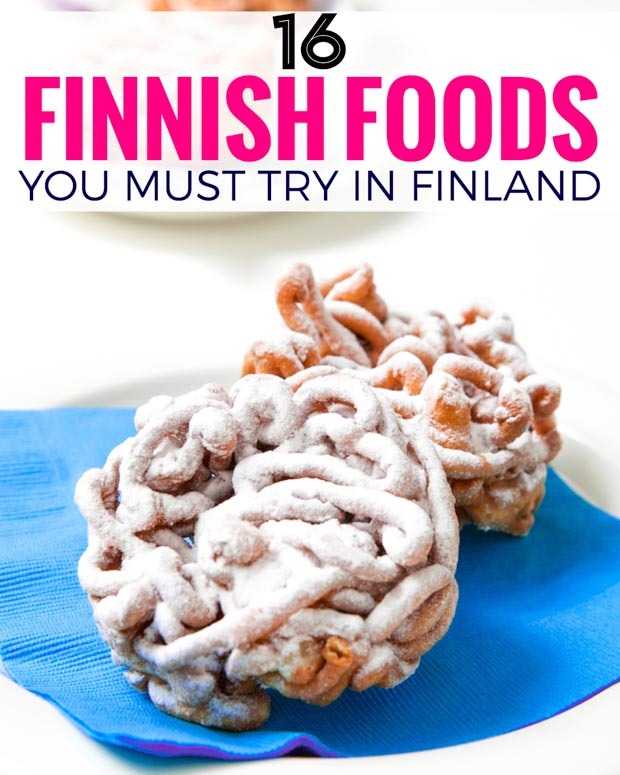 I’ve never even thought of Finnish cuisine. You’ve opened up a surprisingly new culinary world for me. 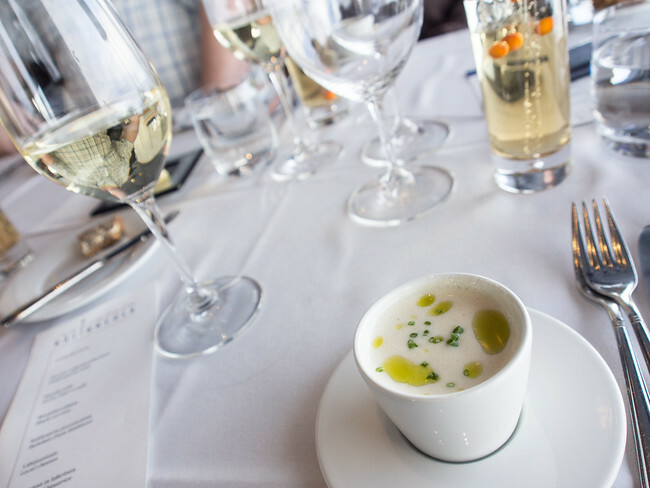 The bread and garlic soup look especially amazing and I’d love to wash a bite of that smoked arctic char down with a sip of brännvin. But similar taste migth be Koskenkorva that is what most of us Finns would take. Mainly, beers is what people drink, old people are drinking vodka, us younger are not doing it so much. Fun to learn about the traditional food there. I ate blood sausage once and hated every bite, but I can see that lingonberry would help. Blood sausage is called black pudding in Scotland. Lot people don’t know that. Same as Salmon but we use smoked fish. Scotland we are famous for our fresh fish especially salmon haddock mussels and luiqunstines and lobster obviously. Love how Scotland and Finland have some of they same food and some of the same winters! You had me at food. OMG I want it all from the smoked salmon to that fried cheese dessert. So jealous! I’d be happy with those donuts in the 1st pic for every single one of my meals haha! This post made me miss my native cuisine! Next time I’d go to Finland I’ll certainly buy some marinated herring and prepare a salad with boiled eggs, marinated herring, sour cream, red onions and leek and serve it to my Peruvian friends with some local papas nativas. I missed Finland while in Scandinavia last year unfortunately, but it looks like you definitly ate well while there! I love venison so the reindeer looks right up my alley. Oh, and the beer. Yes, I love me my beer! I’ve always liked the taste of fishermans friends, and I like vodka, I must try that shot. Looks amazing! Would love to visit Finland some day. But I noticed that you forgot to taste the Pirkka ! It is maybe one of the most tipical thing in Finland: it is rice on a kind of bread with egg butter on it. Quite good ! OI really liked your pictures … Thanks ! Actually it’s called karjalanpiirakka. So yummy! nice post. Enjoyed reading blog. Cool blog which I found by accident. 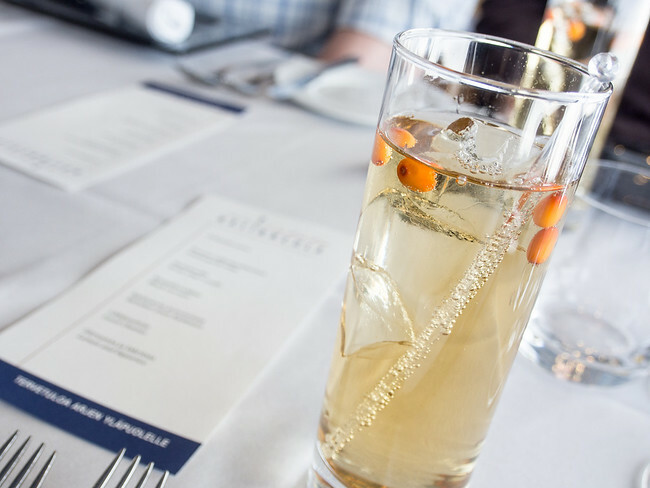 You have truly found some of the best dishes here in Finland. I love cold smoked salmon and reindeer myself, and leipäjuusto (bread cheese) is also one of my favourites that I eat over the Christmas time. Reindeer I prefer as cut in small pieces and made to a hot dish with beer, sided with lingonberries and buttery mashed potatoes. 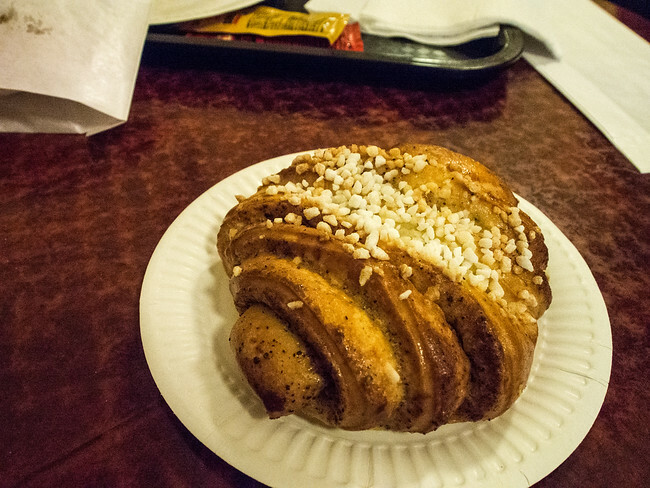 The donuts in the beginning (munkki) also come with jam filling – which I love to bits! Thanks again for a great blog – I must read it again. The food looks great! I’ve just come back from a weeks holiday in Finland and Norway, and I completely agree with the deliciousness of Arctic Char and Reindeer Meat. We also went to Savotta in Helsinki (we were only there for 1 night) and the food was delicious, we were stuffed afterwards! I didn’t get to try everything on you list, but I want to go back there so hopefully I’ll get another chance! We did have amazing King Crab Soup in Norway though! This is a very handy little guide! I’m going to Finland on Friday and have no idea what the food is like at all, but it looks delicious. The creamy salmon soup sounds amazing, and I’m excited to try reindeer in all its forms too. Also get the garlic soup in the market, it is amazing. That was a fascinating post. Finland is finally getting as much attention as its neighbours, which is great. I’m especially curious about reindeer, as I love venison. I honestly had no idea about Finnish food either but I had to pick a country to do, so I choose to do Finland I wonder if their food is really good they reindeer look good and sound good..
No on tääl ny kummallissii suomalaisii ko ne sannoo et tippaleipä olis munkki ??? The first picture is not munkki (doughnut) but tippaleipä. Tippaleipä (funnel cake) is typically served on May 1st – Vappu. Thank you SO much for pointing this out, I had no idea. I’m going to try to find a photo of the doughnut. Oh yeah, come to Finland if you are world-weary! I just noticed a link to this post and had to come to read it. My husband is Finnish and his Mom cooked a lot of these dishes before she passed away, so I was familiar with Finnish recipes. We visited there last summer, and our experience of food was different than yours because it was mostly in the kitchens and patios of family members. The restaurant versions here look so much fancier, which is typical everywhere, of course. Pulla, in particular (very common in most households) is a very different thing in a home kitchen. It’s only slightly sweet, and much homier looking. 🙂 So glad I found this post! Fazer makes the best candy. I love their chocolate and the Omar-fudge. If you want to drink alcohol, buy a “lonkero” from Alko or a supermarket. A mix of gin and grapefruit soda. Cool stuff about Finland. Won’t follow a bacon fanatic though. My pet pig wouldn’t appreciate it. Yummy, such a great post!! Thanks for this. That’s an interesting perspective because there are thousands of recipes on Finnish websites for Valkosipulikeitto.